Cynthia Gerlein-Safdi is an ecohydrologist working in the department of Climate and Space Sciences and Engineering. Her research focuses on the impact of rain, dew, and fog interception on canopy water dynamics. She is involved in the CYGNSS mission, using the data from this brand-new satellite constellation to resolve the daily cycle of canopy water. 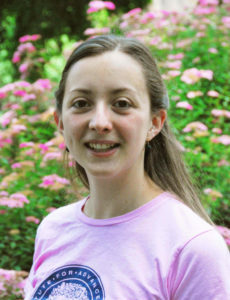 Prior to arriving at the University of Michigan, Cynthia received a Ph.D. from the department of Civil and Environmental Engineering at Princeton University, an MEng in Geophysics from the École et Observatoire des Sciences de la Terre (EOST) in Strasbourg (France), and a BSc in Earth Sciences from the University of Strasbourg (France).